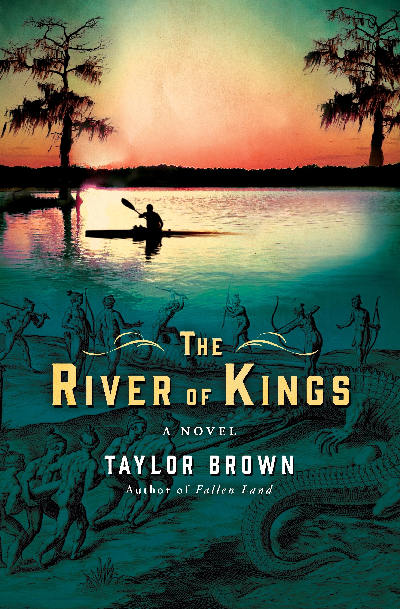 Jacket art for Taylor Brown's latest novel, "The River of Kings." It features the modern-day story of Hunter and Lawton Loggins, two brothers traveling down the river carrying their father’s ashes to the sea. Meanwhile, Jacques Le Moyne, the first European artist in North America, journeys down the same river with a French expedition in the 16th century. Host Frank Stasio talks with Brown about growing up near the river and researching the water’s storied past.